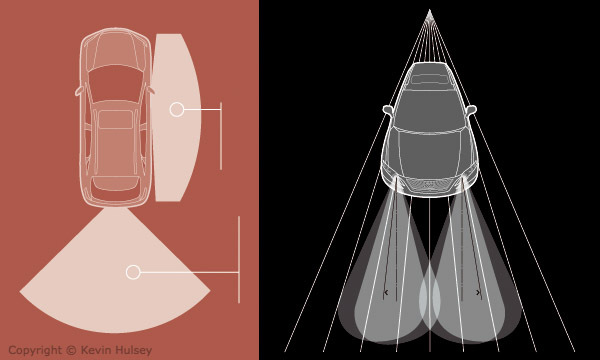 These illustrations were part of a series of technical drawings for Lexus IS, ES GS and LS sedans and Lexus RX crossover SUV showing a variety of passenger safety features such as visibility, lighting, ergonomics and passive or active passenger restraint systems and stability control, as well as mechanical systems and other technological advancements. 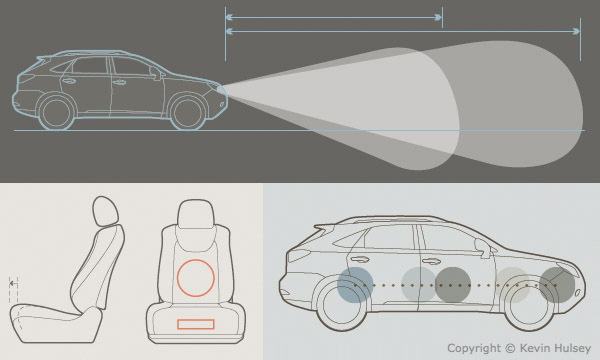 These illustrations shown above were part of a comprehensive series of simple line drawings for Lexus RX crossover sport utility vehicle, showing safety features and passenger ergonomics. 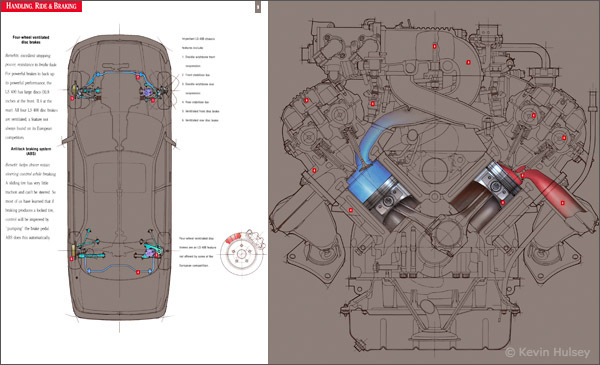 The above illustrations were part of a series of line drawings for Lexus IS, ES GS and LS sedans showing a variety of passenger safety features such as visibility and lighting. 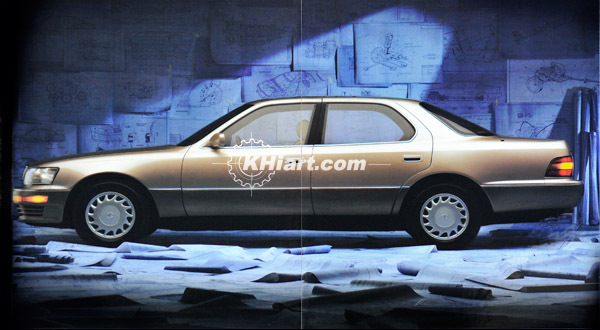 The reprint above was a magazine spread showing a Lexus LS400 with hundreds of technical blueprint drawings as a backdrop. In reality, 50 unique drawings were done, then duplicated. 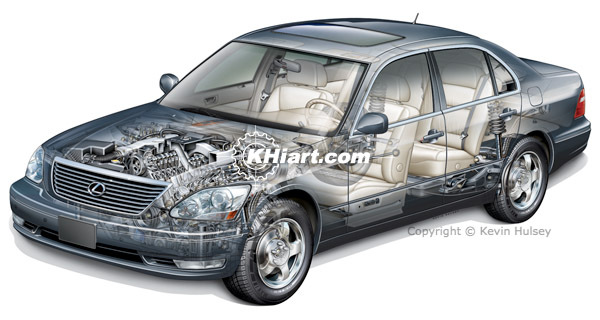 This cutaway Lexus LS400 was created for Toyota Financial Services. This reprint was a single spread from the 89 page gift book that was given to purchasers of the Lexus LS400 during its introductory year. There were 45 technical drawings done for this project.